Only a few weeks to go until it’s officially Spring and I can put our first “real” winter (the kind with snow) behind us! A “winter person” I am not. It’s lovely to visit after a fresh snow, but the frigid temperatures, grey skies, and not nearly enough “Winter Wonderland” type scenes to make up for it all winter style of Northern Virginia needs to be replaced by spring, flowers, and sun dresses. 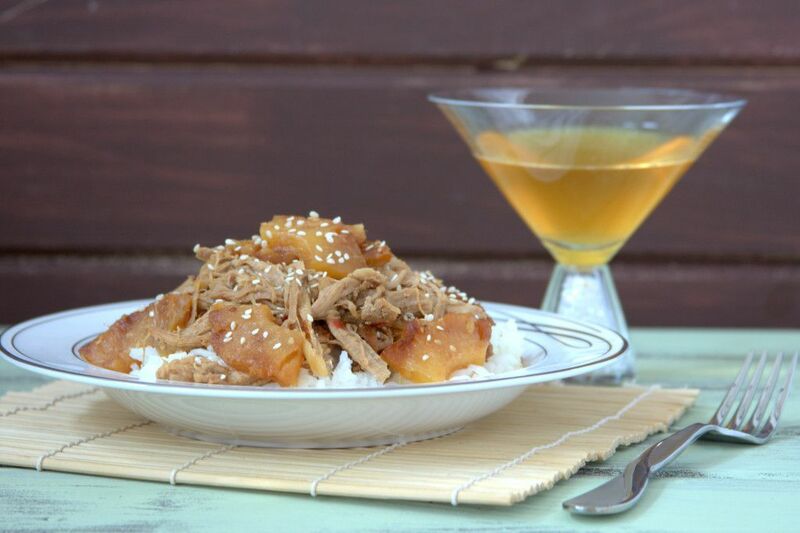 While we wait out these last few weeks, I’d like to share with you one of our new favorite slow cooker dishes. In fact, my mouth is watering as I type this and I may just be making this again this week or next. I really wanted to make a dish that tasted like warm weather, inspired by the delicious Hawaiian food we tried while living in California. So a little sweet, a good bit of savory, satisfying, with flavors that develop best cooked low and slow and make even better leftovers! I also had to be able to make it with what I had in the house because icy roads and my mental trip to tropical climates are clearly in juxtaposition and I didn’t want to leave my happy place (inside, where it’s warm). I will admit we didn’t have pineapple in the house, so I made the Godfather go get it so I could make this recipe as envisioned, and he thought it was worthwhile even though he’s usually not a pineapple fan. It can be omitted, but I really like the flavor contrast it provides. If you don’t have a grill pan, you can “grill” it in a skillet. You just won’t get the grill marks. I cannot tell you enough how amazing the leftovers are from this recipe. I thought we would freeze some after, but we ended up eating leftovers for two or three days straight. 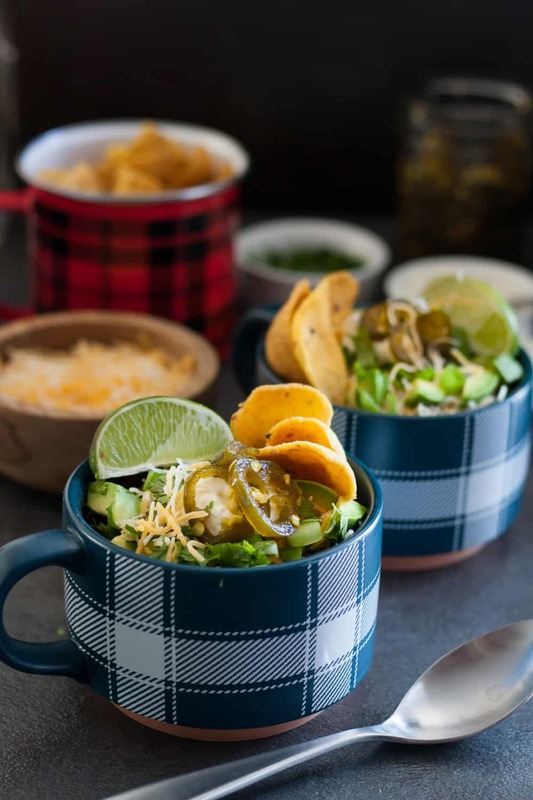 We had bowls once or twice more, scrambled the pork with eggs, had it on salad, and even made grilled cheese sandwiches with white cheddar. It was delicious every. single. time. Note: This recipe was developed for the Healthy Solutions spice blend contest. A packet of the spice blend was provided to each participant in the competition for recipe development. Heat 2 tbsp oil in a heavy bottomed pan over high heat. While the oil is heating, sprinkle the salt on the pork. When the oil is very hot (just barely starting to smoke), place the pork in the pan to sear. Cook the pork 4-5 minutes on the first side and 3-4 minutes on subsequent sides until you get a nice brown sear. Turn 2-3 times to sear on all sides. 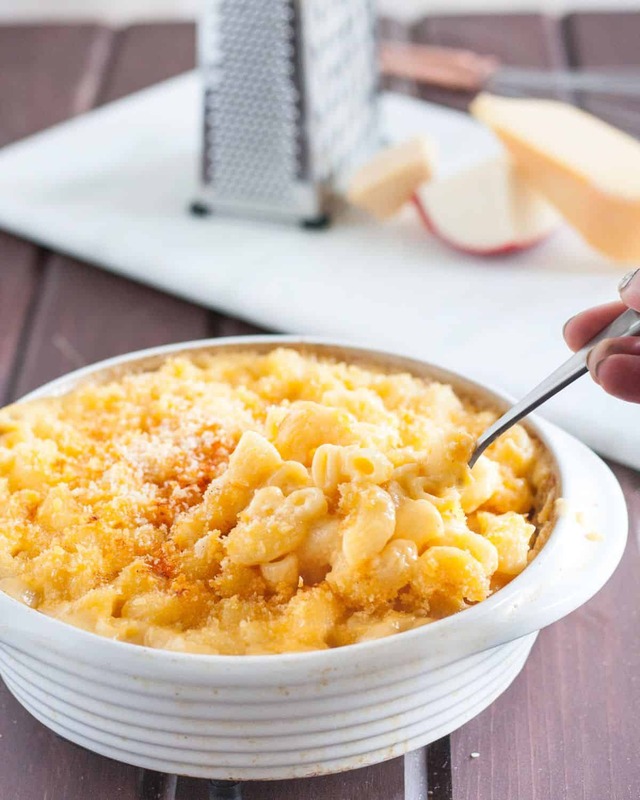 While the meat is searing, chop the onion and place it in the bottom of your slow cooker and mix together all other ingredients except the corn starch and water in a bowl. Place the seared pork over the onions, pour the sauce over the pork, cover, and cook on low 7-8 hours until the pork is cooked through and shreds easily with a fork. 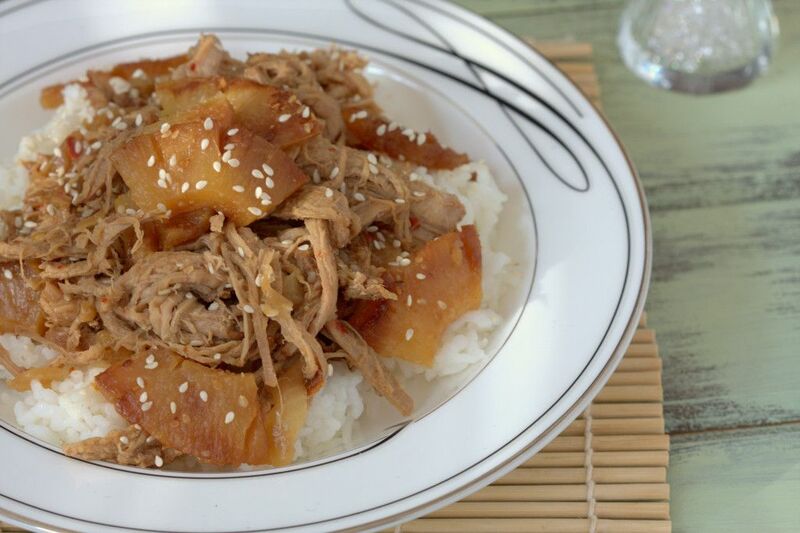 When the pork is ready, remove the pork loin from the slow cooker and turn the heat to high. Mix 1 tbsp cornstarch in 2 tbsp water and stir into the sauce. Cook for 10 minutes to thicken while you shred the pork. 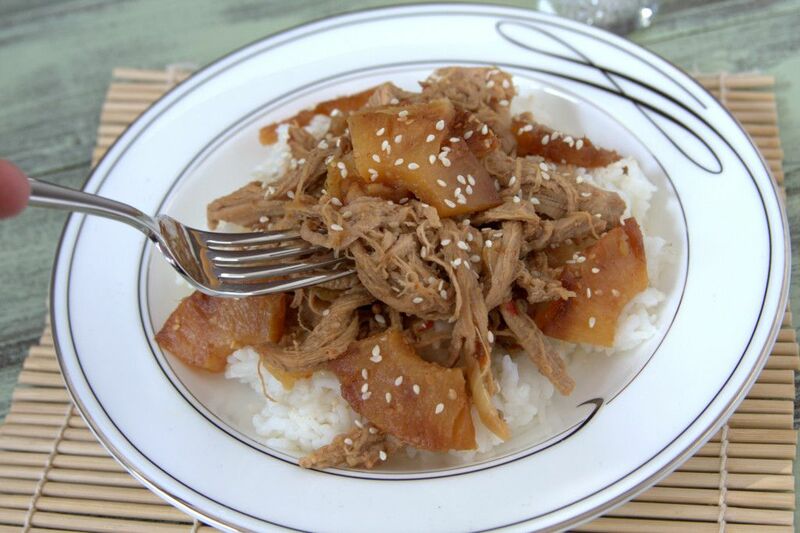 Add the shredded pork back into the slow cooker and stir to coat well with the sauce. Melt the butter in your grill pan over medium-high heat. Warm the honey in a saucepan over medium low heat or in the microwave for about 10 seconds and then stir in the sesame ginger seasoning. Drain and pat dry the pineapple slices, brush on both sides with the honey mixture. 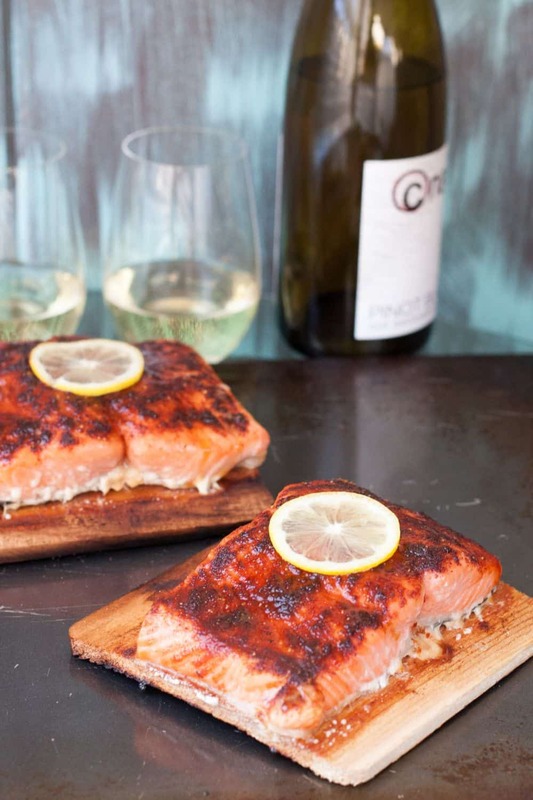 Place in the grill pan or skillet and grill 5 minutes per side until the honey has slightly caramelized. 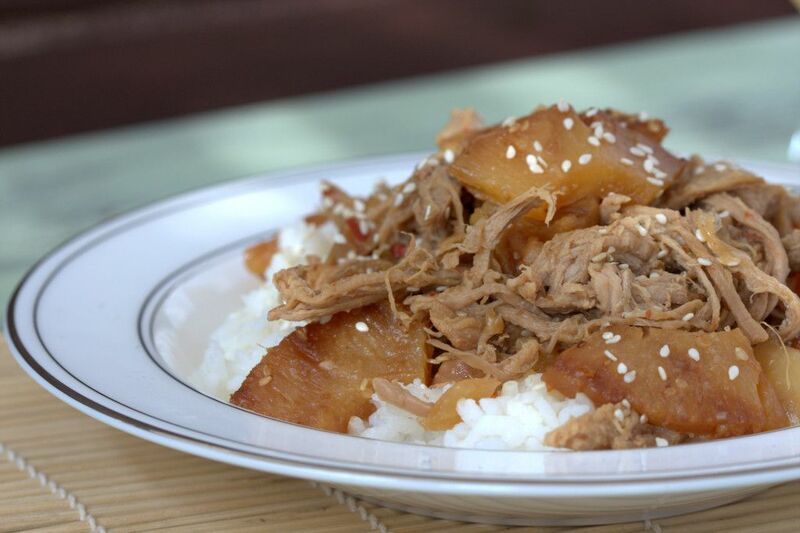 To make rice bowls, serve shredded pork and grilled pineapple over cooked white or brown rice.